Last phone from Xiaomi’s Note series was the Note 5 Pro, it was launched in February with its predecessor Redmi Note 5, the Pro edition of Note 5 was a really tough competitor for other Smartphone in the same price segment. Xiaomi sold more 5 Million units of Note 5 series in India. 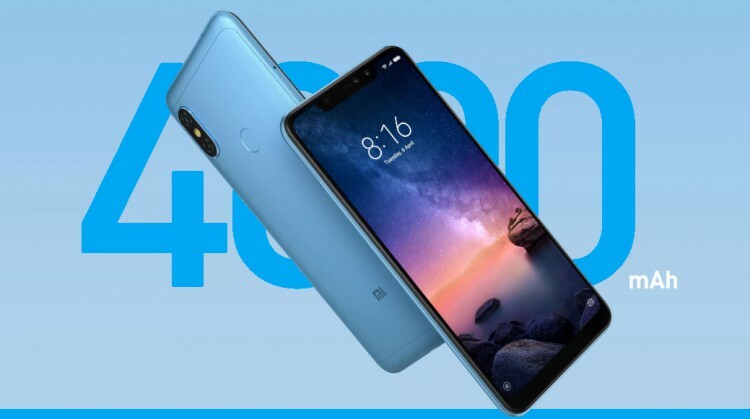 Now almost after 9 Months the company is launching the Redmi Note 6 Pro. The same phone is already launched Thailand in September. The invites for the Launch of the phone has already sent to the media with the tagline “The New Note Rises” which reminds that the successor of Note 5 Pro is about to come. The handset will be going for sale in the country from the next day November 23rd, 12 noon. Starting with the display it sports a 6.26 inch 2280 x 1080 pixels full-HD+ IPS LCD display with a 19:9 aspect ratio, for display protection it features a 2.5D Corning Gorilla Glass. The Redmi Note 6 Pro has Dual Camera setups at both sides making it a Quad Camera phone, The Main Camera has 12MP and 5MP sensors, it has AI features and Beauty Mode, the 12MP shooter has f/1.9 aperture lens which also support supports dual auto-focus, The Second sensor is 5MP for depth sensing. For Selfies it has Dual cameras, the main is 20MP shooter having Sony IMX376 sensor with F/2.0 aperture lens, the secondary camera is 2MP for depth sensing. The Redmi Note 6 Pro is Powered by Snapdragon 636 SoC which is a Octa-Core processor clocked at 1.8GHz, it is based on 14nm technology, it is coupled with Adreno 509 GPU with 4GB RAM and 64GB Storage. The Handset features a Hybrid Sim Slot where either two Nano Sims or one Nano Sim plus a MicroSD card can be inserted at the same time. The Phone has Two-day 4000 mAh battery which could also support Fast Charging. The phone could come in Blue, Black and Rose Gold color options. It runs on Android 8.0 Oreo and expected to come with MIUI 10 out of the Box. The Phone has all the basic Sensors including fingerprint sensor along with a face unlocking feature for improved the security levels. The Handset could be priced around Rs 15,000, but nothing is confirmed until the official launch. Stay tuned with Alloftop for more on Smartphone and other Innovative Tech Stories.